Hello friends, I'm back with another review. The latest PopSugar box arrived yesterday. Of course, I had to tear into it and see the goods. 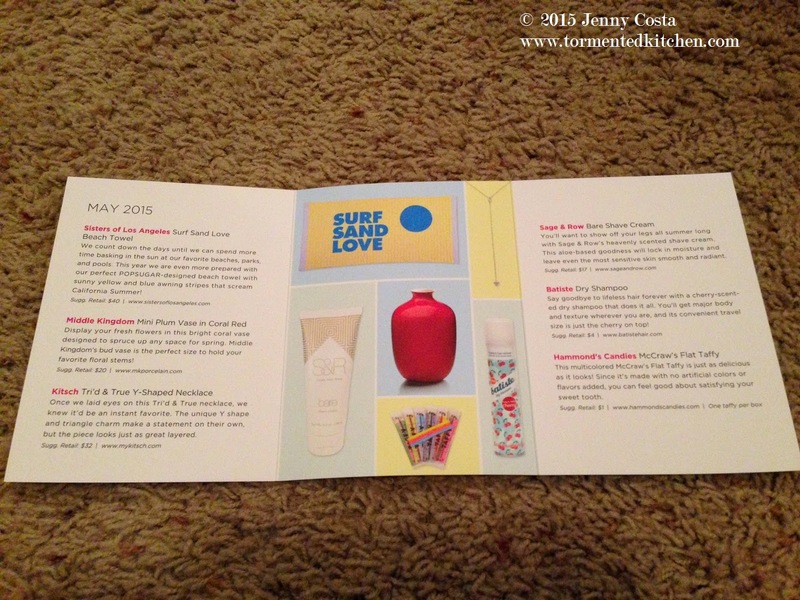 So, first the description card, the hint at what lurks inside. The first thing I picked up was the taffy because I couldn't resist. 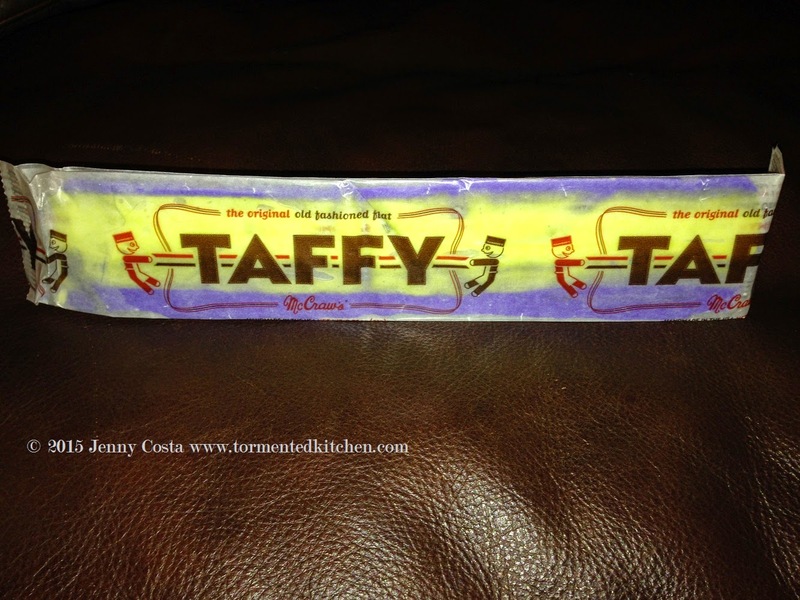 I received one grape flavored piece of McCraw's Flat Taffy by Hammond's Candies. It was pretty good! 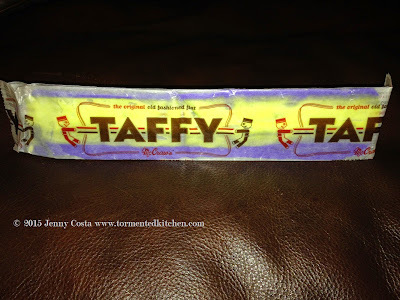 Way better than Laffy Taffy. 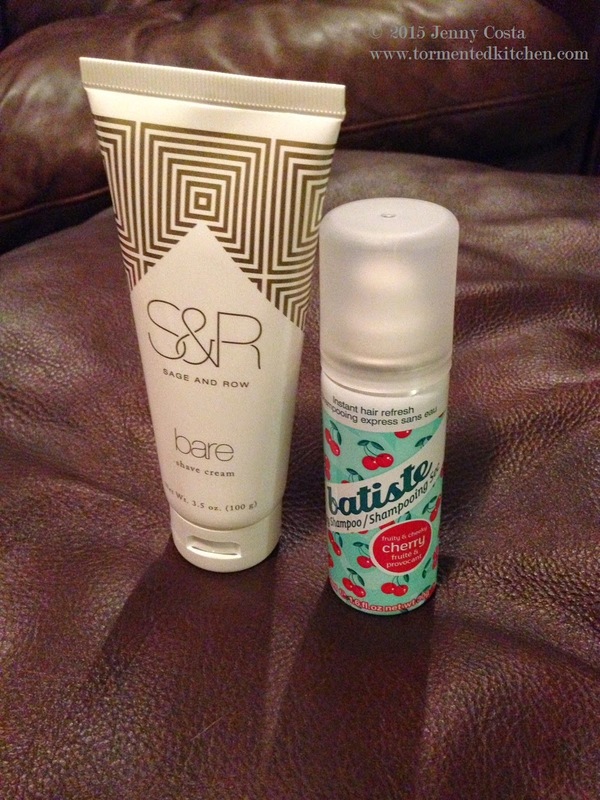 Next, I inspected the tube of Sage and Row Shave Cream. It was very fresh smelling. I didn't try it yet, but I will soon. The same goes for the cherry Batiste Dry Shampoo. In a few days when I'm feeling grimy and not up to a real hair-washing, I'll pull it out and give it a shot. Next, I was excited to see some jewelry! I love jewelry! 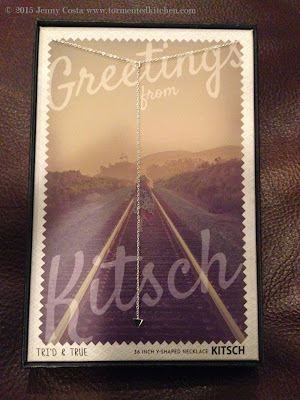 PopSugar showed the Kitsch Tri'd and True Y-Shaped Necklace as a sneak peek in their email blast for this month. I liked it. 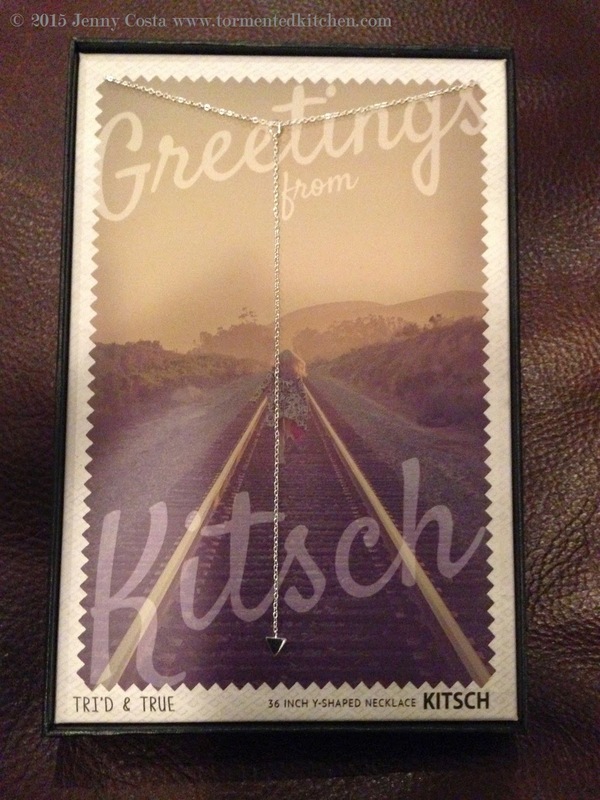 It's a very thin and simple silver-plated chain with a dangly chain instead of a pendant. The dangle has a teeny tiny triangle at the end. Cute! 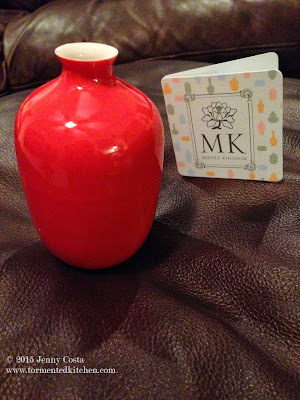 The one thing that I really liked the most was the Mini Plum Vase by Middle Kingdom. It's a lovely glazed porcelain bud vase from China. It happens to look great in my dining room right now. What a great, vivid color! 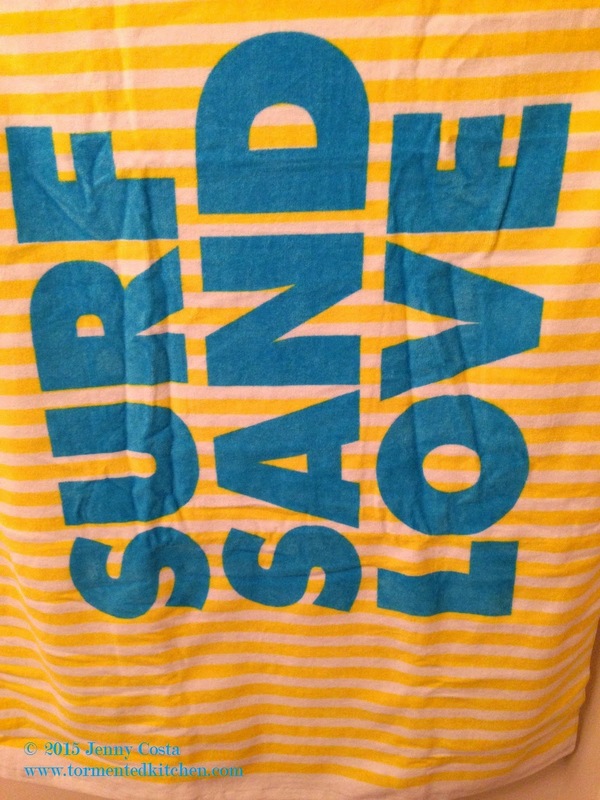 Lastly, there was a beach towel by Sisters of Los Angeles. Not like I needed another beach towel, but there it was, all bright and cheerful. 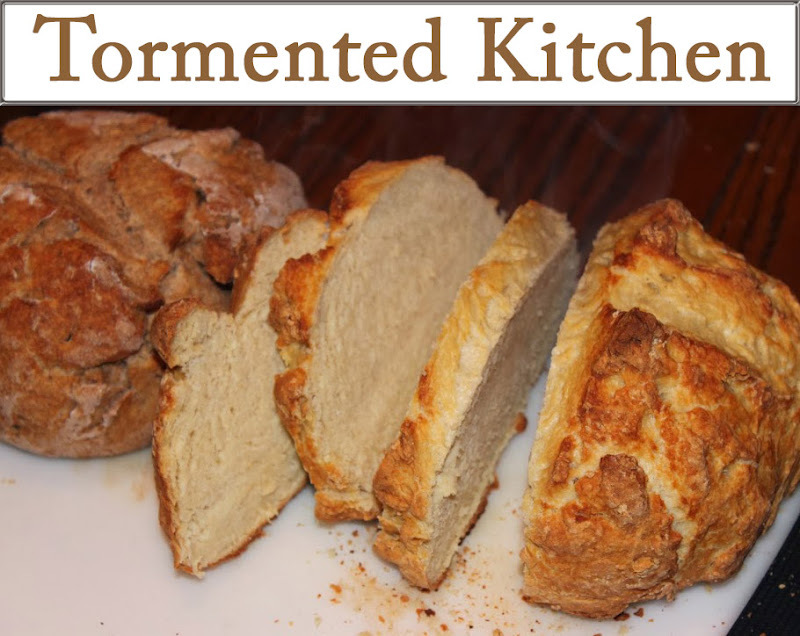 Who can turn down such perkiness? 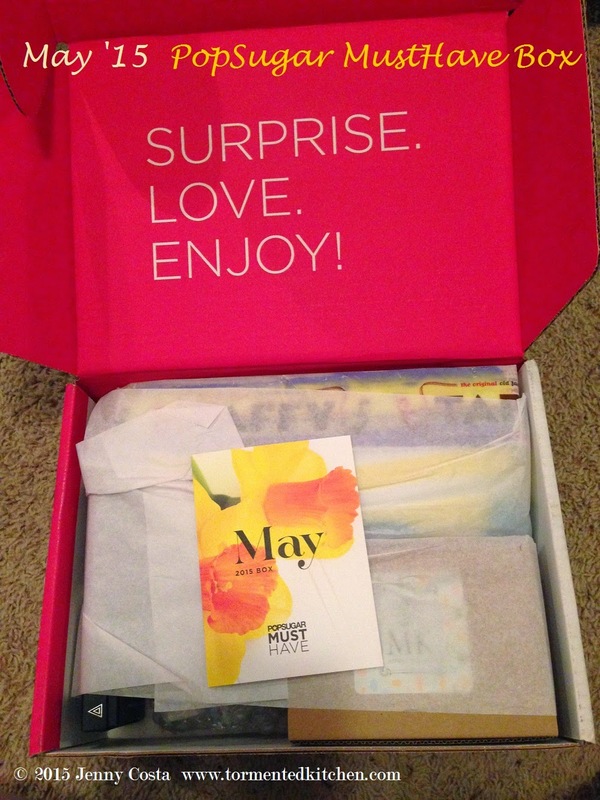 There you have it, the May subscription box from PopSugar. See you again very soon!